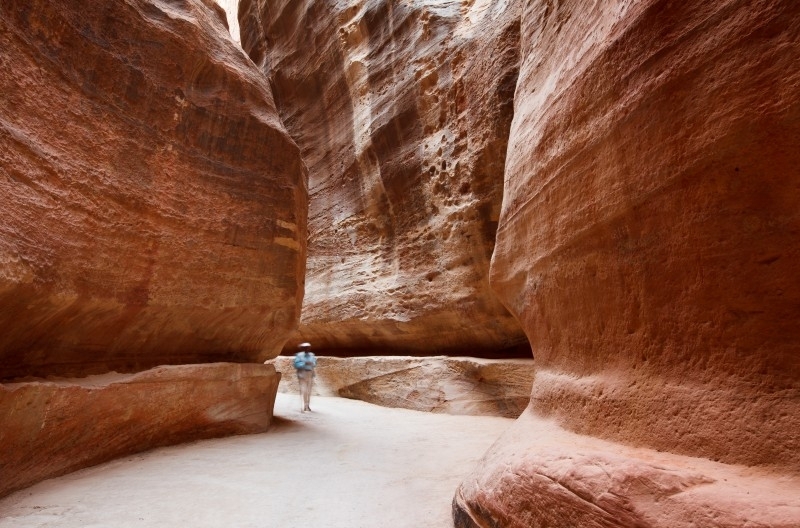 The Siq of Petra is the entrance of the famous city, it is a narrow gorge in some points no more than 3 metres, over 1km in length, which is flanked on either side by soaring, 80m high cliffs. 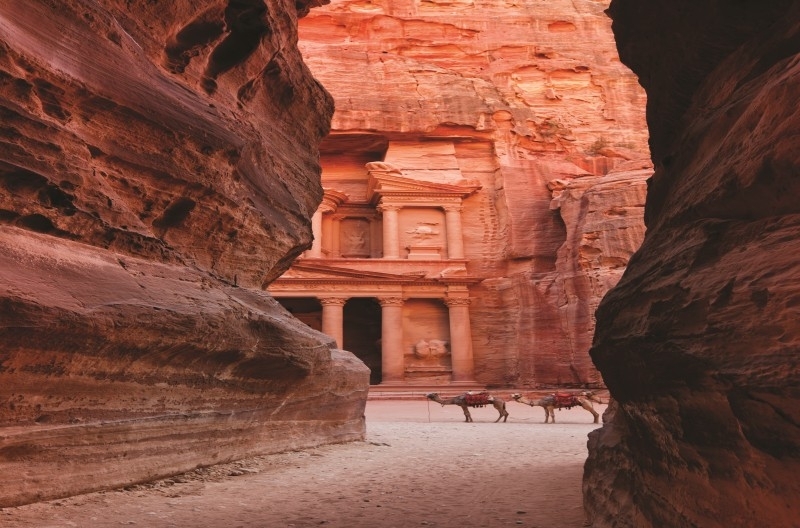 As you reach the end of the Siq you will catch your first glimpse of the Treasury (Al Khazneh) which is the most popular tourist attraction in Petra . 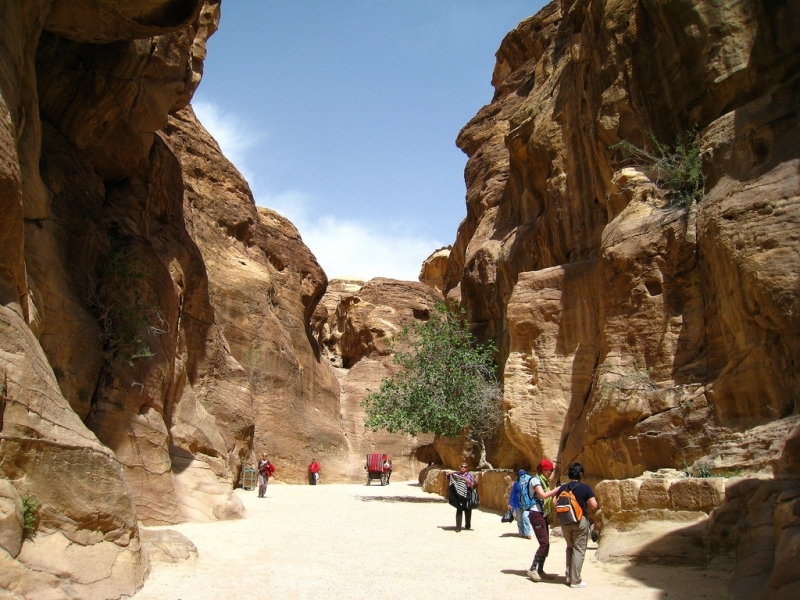 The Siq was used as the grand caravan entrance into Petra. 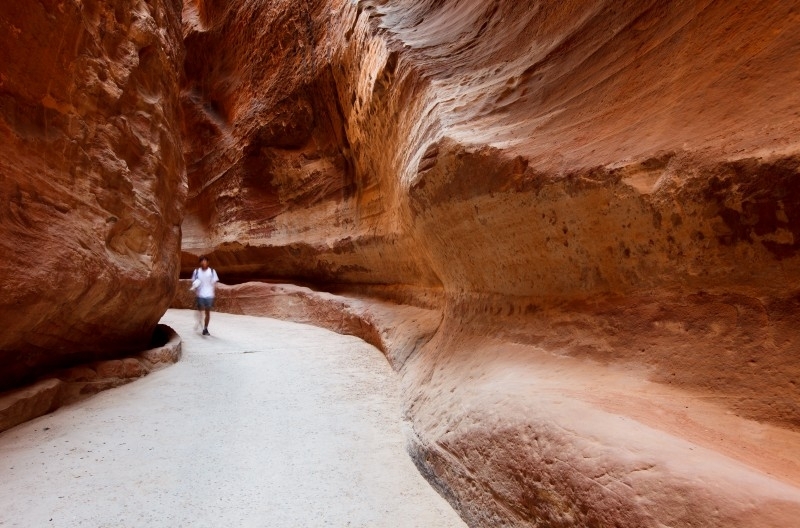 Along the Siq are some underground chambers. 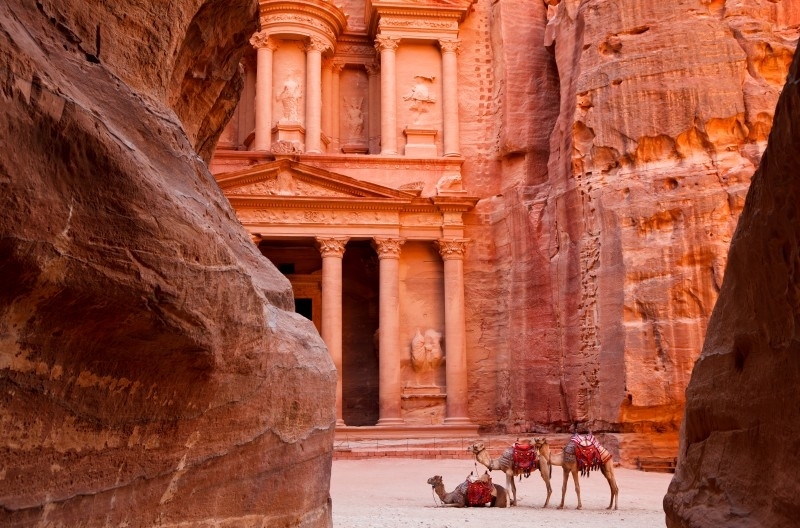 The majority says that they housed the guards that defended the main entrance to Petra. 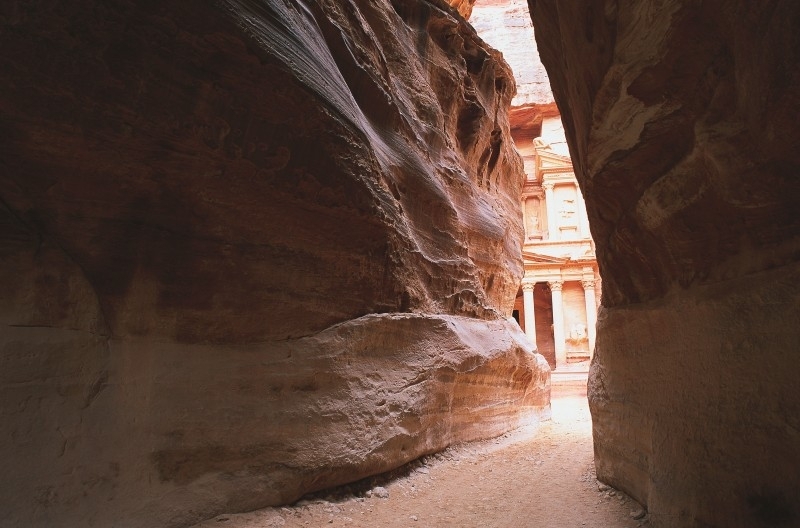 You can either walk, ride a horse carriage or ride a horse to go through the Siq and reach the Treasury.